The word well spoken, the deed fitly done, even by the feeblest or humblest, cannot help but have their effect. More or less, the effect is inevitable and eternal. 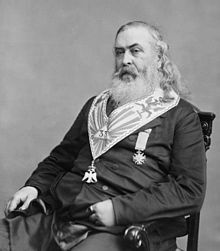 Albert Pike (29 December 1809 – 2 April 1891) was an American attorney, soldier, writer, and Freemason, who is the only Confederate military officer or figure to be honored with an outdoor statue in Washington, D.C. Thought is a force, and philosophy should be an energy, finding its aim and its effects in the amelioration of mankind. The two great motors are Truth and Love. Man is not to be comprehended as a starting-point, or progress as a goal, without those two great forces, Faith and Love. The rest that follows labor should be sweeter than the rest which follows rest. The Sun is the ancient symbol of the life-giving and generative power of the Deity. Phenomena are constantly folded back upon themselves. All works for all. Destruction is not annihilation, but regeneration. The unconsidered act of the poorest of men may fire the train that leads to the subterranean mine, and an empire be rent by the explosion. There is no graduated scale for the measurement of the influences of different intellects upon the popular mind. Peter the Hermit held no office, yet what a work he wrought! 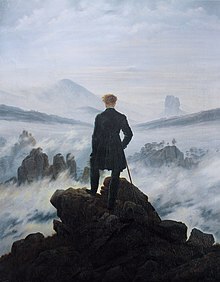 We do not see and estimate the relative importance of objects so easily and clearly from the level or the waving land as from the elevation of a lone peak, towering above the plain; for each looks through his own mist. Force, unregulated or ill-regulated, is not only wasted in the void, like that of gunpowder burned in the open air, and steam unconfined by science; but, striking in the dark, and its blows meeting only the air, they recoil, and bruise itself. It is destruction and ruin. It is the volcano, the earthquake, the cyclone; — not growth and progress. It is Polyphemus blinded, striking at random, and falling headlong among the sharp rocks by the impetus of his own blows. Intellect is to the people and the people's Force, what the slender needle of the compass is to the ship — its soul, always counselling the huge mass of wood and iron, and always pointing to the north. To attack the citadels built up on all sides against the human race by superstitions, despotisms, and prejudices, the Force must have a brain and a law. Then its deeds of daring produce permanent results, and there is real progress. Then there are sublime conquests. Thought is a force, and philosophy should be an energy, finding its aim and its effects in the amelioration of mankind. The two great motors are Truth and Love. When all these Forces are combined, and guided by the Intellect, and regulated by the Rule of Right, and Justice, and of combined and systematic movement and effort, the great revolution prepared for by the ages will begin to march. The Power of the Deity Himself is in equilibrium with His Wisdom. Hence only results HARMONY. Less glory is more liberty. When the drum is silent, reason sometimes speaks. Though Masonry neither usurps the place of, nor apes religion, prayer is an essential part of our ceremonies. It is the aspiration of the soul toward the Absolute and Infinite Intelligence, which is the One Supreme Deity, most feebly and misunderstandingly characterized as an "architect." Certain faculties of man are directed toward the Unknown — thought, meditation, prayer. The unknown is an ocean, of which conscience is the compass. Thought, meditation, prayer, are the great mysterious pointings of the needle. It is a spiritual magnetism that thus connects the human soul with the Deity. These majestic irradiations of the soul pierce through the shadow toward the light. It is but a shallow scoff to say that prayer is absurd, because it is not possible for us, by means of it, to persuade God to change His plans. He produces foreknown and foreintended effects, by the instrumentality of the forces of nature, all of which are His forces. Our own are part of these. Our free agency and our will are forces. We do not absurdly cease to make efforts to attain wealth or happiness, prolong life, and continue health, because we cannot by any effort change what is predestined. If the effort also is predestined, it is not the less our effort, made of our free will. Man is not to be comprehended as a starting-point, or progress as a goal, without those two great forces, Faith and Love. Prayer is sublime. The Bible is an indispensable part of the furniture of a Christian Lodge, only because it is the sacred book of the Christian religion. The Hebrew Pentateuch in a Hebrew Lodge, and the Koran in a Mohammedan one, belong on the Altar; and one of these, and the Square and Compass, properly understood, are the Great Lights by which a Mason must walk and work. The obligation of the candidate is always to be taken on the sacred book or books of his religion, that he may deem it more solemn and binding; and therefore it was that you were asked of what religion you were. We have no other concern with your religious creed. The Sun is the ancient symbol of the life-giving and generative power of the Deity. To the ancients, light was the cause of life; and God was the source from which all light flowed; the essence of Light, the Invisible Fire, developed as Flame manifested as light and splendor. 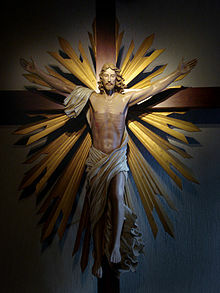 The Sun was his manifestation and visible image; and the Sabæans worshipping the Light — God, seemed to worship the Sun, in whom they saw the manifestation of the Deity. The Moon was the symbol of the passive capacity of nature to produce, the female, of which the life-giving power and energy was the male. It was the symbol of Isis, Astarte, and Artemis, or Diana. The "Master of Life" was the Supreme Deity, above both, and manifested through both; Zeus, the Son of Saturn, become King of the Gods; Horus, son of Osiris and Isis, become the Master of Life; Dionusos or Bacchus, like Mithras, become the author of Light and Life and Truth. "Thy sun," says Isaiah to Jerusalem, " shall no more go down, neither shall thy moon withdraw itself; for the Lord shall be thine everlasting light, and the days of thy mourning shall be ended. Thy people also shall be all righteous; they shall inherit the land forever." Such is the type of a free people. Our northern ancestors worshipped this tri-une Deity; Odin, the Almighty Father ; Frea, his wife, emblem of universal matter; and Thor, his son, the mediator. But above all these was the Supreme God, "the author of everything that existeth, the Eternal, the Ancient, the Living and Awful Being, the Searcher into concealed things, the Being that never changeth." In the Temple of Eleusis (a sanctuary lighted only by a window in the roof, and representing the universe), the images of the Sun, Moon, and Mercury, were represented. Work only can keep even kings respectable. And when a king is a king indeed, it is an honorable office to give tone to the manners and morals of a nation; to set the example of virtuous conduct, and restore in spirit the old schools of chivalry, in which the young manhood may be nurtured to real greatness. Work and wages will go together in men's minds, in the most royal institutions. We must ever come to the idea of real work. The rest that follows labor should be sweeter than the rest which follows rest. Let no Fellow-Craft imagine that the work of the lowly and uninfluential is not worth the doing. There is no legal limit to the possible influences of a good deed or a wise word or a generous effort. Nothing is really small. Whoever is open to the deep penetration of nature knows this. Although, indeed, no absolute satisfaction may be vouchsafed to philosophy, any more in circumscribing the cause than in limiting the effect, the man of thought and contemplation falls into unfathomable ecstacies in view of all the decompositions of forces resulting in unity. All works for all. 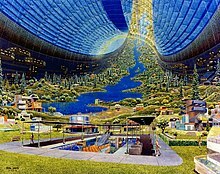 Destruction is not annihilation, but regeneration. Phenomena are constantly folded back upon themselves. In the vast cosmical changes the universal life comes and goes in unknown quantities, enveloping' all in the invisible mystery of the emanations, losing no dream from no single sleep, sowing an animalcule here, crumbling a star there, oscillating, and winding in curves; making a force of Light, and an element of Thought; disseminated and indivisible, dissolving all save that point without length, breadth, or thickness, The Myself ; reducing everything to the Soul-atom; making everything blossom into God; entangling all activities, from the highest to the lowest, in the obscurity of a dizzying mechanism; hanging the flight of an insect upon the movement of the earth; subordinating, perhaps, if only by the identity of the law, the eccentric evolutions of the comet in the firmament, to the whirlings of the infusoria in the drop of water. Remember, that though life is short, Thought and the influences of what we do or say, are immortal; and that no calculus has yet pretended to ascertain the law of proportion between cause and effect. The hammer of an English blacksmith, smiting down an insolent official, led to a rebellion which came near being a revolution. The word well spoken, the deed fitly done, even by the feeblest or humblest, cannot help but have their effect. More or less, the effect is inevitable and eternal. The echoes of the greatest deeds may die away like the echoes of a cry among the cliffs, and what has been done seem to the human judgment to have been without result. The unconsidered act of the poorest of men may fire the train that leads to the subterranean mine, and an empire be rent by the explosion. The power of a free people is often at the disposal of a single and seemingly an unimportant individual; — a terrible and truthful power; for such a people feel with one heart, and therefore can lift up their myriad arms for a single blow. And, again, there is no graduated scale for the measurement of the influences of different intellects upon the popular mind. Peter the Hermit held no office, yet what a work he wrought! From the political point of view there is but a single principle,— the sovereignty of man over himself. This sovereignty of one's self over one's self is called Liberty. Where two or several of these sovereignties associate, the State begins. But in this association there is no abdication. Each sovereignty parts with a certain portion of itself to form the common right. That portion is the same for all. There is equal contribution by all to the joint sovereignty. This identity of concession which each makes to all, is Equality. The common right is nothing more or less than the protection of all, pouring its rays on each. This protection of each by all, is Fraternity. Liberty is the summit, Equality the base. Equality is not all vegetation on a level, a society of big spears of grass and stunted oaks, a neighborhood of jealousies, emasculating each other. It is, civilly, all aptitudes having equal opportunity; politically, all votes having equal weight; religiously, all consciences having equal rights. Refined society requires greater minuteness of regulation; and the steps of all advancing States are more and more to be picked among the old rubbish and the new materials. The difficulty lies in discovering the right path through the chaos of confusion. The adjustment of mutual rights and wrongs is also more difficult in democracies. We do not see and estimate the relative importance of objects so easily and clearly from the level or the waving land as from the elevation of a lone peak, towering above the plain; for each looks through his own mist. All religious expression is symbolism; since we can describe only what we see, and the true objects of religion are The Seen . The earliest instruments of education were symbols; and they and all other religious forms differed and still differ according to external circumstances and imagery, and according to differences of knowledge and mental cultivation. 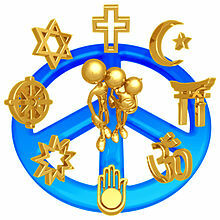 All language is symbolic, so far as it is applied to mental and spiritual phenomena and action. All words have, primarily, a material sense, howsoever they may afterward get, for the ignorant, a spiritual non-sense. To "retract," for example, is to draw back, and when applied to a statement, is symbolic, as much so as a picture of an arm drawn back, to express the same thing, would he. The very word " spirit" means " breath," from the Latin verb spiro, breathe. We come at last to define spirit by saying that it is not matter. Spirit is — spirit. Justice is peculiarly indispensable to nations. To present a visible symbol to the eye of another, is not necessarily to inform him of the meaning which that symbol has to you. Hence the philosopher soon superadded to the symbols explanations addressed to the ear, susceptible of more precision, but less effective and impressive than the painted or sculptured forms which he endeavored to explain. Out of these explanations grew by degrees a variety of narrations, whose true object and meaning were gradually forgotten, or lost in contradictions and incongruities. And when these were abandoned, and Philosophy resorted to definitions and formulas, its language was but a more complicated symbolism, attempting in the dark to grapple with and picture ideas impossible to be expressed. For as with the visible symbol, so with the word: to utter it to you does not inform you of the exact meaning which it has to me; and thus religion and philosophy became to a great extent disputes as to the meaning of words. The most abstract expression for Deity, which language can supply, is but a sign or symbol for an object beyond our comprehension, and not more truthful and adequate than the images of Osiris and Vishnu, or their names, except as being less sensuous and explicit We avoid sensuousness, only by resorting to simple negation. We come at last to define spirit by saying that it is not matter. Spirit is — spirit. Two forms of government are favorable to the prevalence of falsehood and deceit. Under a Despotism, men are false, treacherous, and deceitful through fear, like slaves dreading the lash. Under a Democracy they are so as a means of attaining popularity and office, and because of the greed for wealth. When office and wealth become the gods of a people, and the most unworthy and unfit most aspire to the former, and fraud becomes the highway to the latter, the land will reek with falsehood and sweat lies and chicane. When the offices are open to all, merit and stern integrity and the dignity of unsullied honor will attain them only rarely and by accident. To be able to serve the country well, will cease to be a reason why the great and wise and learned should be selected to render service. Other qualifications, less honorable, will be more available. Reverence for greatness dies out, and is succeeded by base envy of greatness. Every man is in the way of many, either in the path to popularity or wealth. There is a general feeling of satisfaction when a great statesman is displaced, or a general, who has been for his brief hour the popular idol, is unfortunate and sinks from his high estate. It becomes a misfortune, if not a crime, to be above the popular level. We should naturally suppose that a nation in distress would take counsel with the wisest of its sons. But, on the contrary, great men seem never so scarce as when they are most needed, and small men never so bold to insist on infesting place, as when mediocrity and incapable pretence and sophomoric greenness, and showy and sprightly incompetency are most dangerous. A war for a great principle ennobles a nation. A war for commercial supremacy, upon some shallow pretext, is despicable, and more than aught else demonstrates to what immeasurable depths of baseness men and nations can descend. Commercial greed values the lives of men no more than it values the lives of ants. The slave-trade is as acceptable to a people enthralled by that greed, as the trade in ivory or spices, if the profits are as large. Justice in no wise consists in meting out to another that exact measure of reward or punishment which we think and decree his merit, or what we call his crime, which is more often merely his error, deserves. The justice of the father is not incompatible with forgiveness by him of the errors and offences of his child. The Infinite Justice of God does not consist in meting out exact measures of punishment for human frailties and sins. We are too apt to erect our own little and narrow notions of what is right and just, into the law of justice, and to insist that God shall adopt that as His law; to measure off something with our own little tape-line, and call it God's law of justice. Continually we seek to ennoble our own ignoble love of revenge and retaliation, by misnaming it justice. You are to be true unto all men. You are to be frank and sincere in all things. You are to be earnest in doing whatever it is your duty to do. A dim consciousness of infinite mystery and grandeur lies beneath all the commonplace of life. There is an awfulness and a majesty around us, in all our little worldliness. Justice is peculiarly indispensable to nations. The unjust State is doomed of God to calamity and ruin. This is the teaching of the Eternal Wisdom and of history. Hypocrisy is the homage that vice and wrong pay to virtue and justice. The duties of a Prince Ameth are, to be earnest, true, reliable, And sincere; to protect the people against illegal impositions and exactions; to contend for their political rights, and to see, as far as he may or can, that those bear the burdens who reap the benefits of the Government. And no man must repent that he has relied upon your resolve, your profession, or your word. The great distinguishing characteristic of a Mason is sympathy with his kind. He recognizes in the human race one great family, all connected with himself by those invisible links, and that mighty net-work of circumstance, forged and woven by God. Masonry will do all in its power, by direct exertion and co-operation, to improve and inform as well as to protect the people; to better their physical condition, relieve their miseries, supply their wants, and minister to their necessities. Let every Mason in this, good work do all that may be in his power. For it is true now, as it always was and always will be, that to be free is the same thing as to be pious, to be wise, to be temperate and just, to be frugal and abstinent, and to be magnanimous and brave; and to be the opposite of all these is the same as to be a slave. And it usually happens, by the appointment, and, as it were, retributive justice of the Deity, that that people which cannot govern themselves, and moderate their passions, but crouch under the slavery of their lusts and vices, are delivered up to the sway of those whom they abhor, and made to submit to an involuntary servitude. And it is also sanctioned by the dictates of justice and by the constitution of Nature, that he who, from the imbecility or derangement of his intellect, is incapable of governing himself, should, like a minor, be committed to the government of another. Above all things let us never forget that mankind constitutes one great brotherhood; all born to encounter suffering and sorrow, and therefore bound to sympathize with each other. For no tower of Pride was ever yet high enough to lift its possessor above the trials and fears and frailties of humanity. No human hand ever built the wall, nor ever shall, that will keep out affliction, pain, and infirmity. Sickness and sorrow, trouble and death, are dispensations that level everything. They know none, high nor low. The chief wants of life, the great and grave necessities of the human soul, give exemption to none. Something of sublimity and sanctity has thus flashed down from heaven into the heart of every one that lives. There are greater and better things in us all, than the world takes account of, or than we take note of; if we would but find them out. Life is what we make it, and the world is what we make it. The eyes of the cheerful and of the melancholy man are fixed upon the same creation; but very different are the aspects which it bears to them. We live our little life; but Heaven is above us and all around and close to us; and Eternity is before us and behind us; and suns and stars are silent witnesses and watchers over us. We are enfolded by Infinity. Infinite Powers and Infinite spaces lie all around us. The dread arch of Mystery spreads over us, and no voice ever pierced it. Eternity is enthroned amid Heaven's myriad starry heights; and no utterance or word ever came from those far-off and silent spaces, Above, is that awful majesty; around us, everywhere, it stretches off in to infinity; and beneath it is this little struggle of life, this poor day's conflict, this busy ant-hill of Time. But from that ant-hill, not only the talk of the streets, the sounds of music and revelling, the stir and tread of a multitude, the shout of joy and the shriek of agony go up into the silent and all-surrounding Infinitude; but also, amidst the stir and noise of visible life, from the inmost bosom of the visible man, there goes up an imploring call, a beseeching cry, an asking, unuttered, and unutterable, for revelation, wailingly and in almost speechless agony praying the dread arch of mystery to break, and the stars that roll above the waves of mortal trouble, to speak; the enthroned majesty of those awful heights to find a voice; the mysterious and reserved heavens to come near; and all to tell us what they alone know; to give us information of the loved and lost; to make known to us what we are, and whither we are going. Man is encompassed with a dome of incomprehensible wonders. In him and about him is that which should fill his life with majesty and sacredness. Something of sublimity and sanctity has thus flashed down from heaven into the heart of every one that lives. There is no being so base and abandoned but hath some traits of that sacredness left upon him; something, so much perhaps in discordance with his general repute, that he hides it from all around him; some sanctuary in his soul, where no one may enter; some sacred inclosure, where the memory of a child is, or the image of a venerated parent, or the remembrance of a pure love, or the echo of some word of kindness once spoken to him; an echo that will never die away. Life is no negative, or superficial or worldly existence. Our steps are evermore haunted with thoughts, far beyond their own range, which some have regarded as the reminiscences of a preesistent state. So it is with us all, in the beaten and worn track of this worldly pilgrimage. There is more here, than the world we live in. It is not all of life to live. 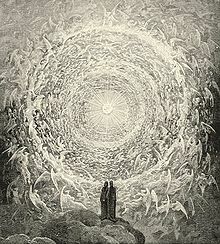 An unseen and infinite presence is here; a sense of something greater than we possess; a seeking, through all the void wastes of life, for a good beyond it; a crying out of the heart for interpretation; a memory of the dead, touching continually some vibrating thread in this great tissue of mystery. We all not only have better intimations, but are capable of better things than we know. The pressure of some great emergency would develop in us powers, beyond the worldly bias of our spirits ; and Heaven so deals with us, from time to time, as to call forth those better things. There is hardly a family so selfish in the world, but that, if one in it were doomed to die—one, to be selected by the others,—it would be utterly impossible for its members, parents and children, to choose out that victim; but that each would say, "I will die ; but I cannot choose." And in how many, if that dire extremity had come, would not one and another step forth, freed from the vile meshes of ordinary selfishness, and say, like the Roman father and son, "Let the blow fall on me!" There are greater and better things in us all, than the world takes account of, or than we take note of; if we would but find them out. The faculty of moral will, developed in the child, is a new element of his nature. It is a new power brought upon the scene, and a ruling power, delegated from Heaven. Never was a human being sunk so low that he had not, by God's gift, the power to rise. Because God commands him to rise. it is certain that he ran rise. Every man has the power, and should use it, to make all situations, trials, and temptations instruments to promote his virtue and happiness; and is so far from being the creature of circumstances, 'that he creates and controls them, making them to be all that they are, of evil or of good, to him as a moral being. Life is what we make it, and the world is what we make it. The eyes of the cheerful and of the melancholy man are fixed upon the same creation; but very different are the aspects which it bears to them. To the one, it is all beauty and gladness; the waves of ocean roll in light, and the mountains are covered with day. Life, to him, flashes, rejoicing, upon every flower and every tree that trembles in the breeze. There is more to him, everywhere, than the eye sees; a presence of profound joy, on hill and valley, and bright, dancing water. The other idly or mournfully gazes at the same scene, and everything wears a dull, dim, and sickly aspect. The murmuring of the brooks is a discord to him, the great roar of the sea has an angry and threatening emphasis, the solemn music of the pines sings the requiem of his departed happiness, the cheerful light shines garishly upon his eyes and offends him. The great train of the seasons passes before him like a funeral procession; and he sighs, and turns impatiently away. The eye makes that which it looks upon; the ear makes its own melodies and discords: the world without reflects the world within. Let the Mason never forget that life and the world are what we make them by our social character; by our adaptation, or want of adaptation to the social conditions, relationships, and pursuits of the world. To the selfish, the cold, and the insensible, to the haughty and presuming, to the proud, who demand more than they are likely to receive, to the jealous, ever afraid they shall not receive enough, to those who are unreasonably sensitive about the good or ill opinions of others, to all violators of the social laws, the rude, the violent, the dishonest, and the sensual, — to all these, the social condition, from its very nature, will present annoyances, disappointments, and pains, appropriate to their several characters. The benevolent affections will not revolve around selfishness ; the cold-hearted must expect to meet coldness; the proud, haughtiness; the passionate, anger; and the violent, rudenesa Those who forget the rights of others, must not be surprised if their own are forgotten; and those who stoop to the lowest embraces of sense must not wonder, if others are not concerned to find their prostrate honor, and lift it up to the remembrance and respect of the world. To plant the trees that, after we are dead, shall shelter our children, is as natural as to love the shade of those our fathers planted. That which we say and do, if its effects last not beyond our lives, is unimportant. The world without reflects the world within. To the gentle, many will be gentle; to the kind, many will be kind. A good man will find that there is goodness in the world; an honest man will find that there is honesty in the world; and a man of principle will find principle and integrity in the hearts of others. There are no blessings which the mind may not convert into the bitterest of evils; and no trials which it may not transform into the noblest and divinest blessings. There are no temptations from which assailed virtue may not gain strength, instead of falling before them, vanquished and subdued. To the impure, the dishonest, the false-hearted, the corrupt and the sensual, occasions come every day, and in every scene, and through every avenue of thought and imagination. He is prepared to capitulate before the first approach is commenced; and sends out the white flag when the enemy's advance comes in sight of his walls. He makes occasions; or, if opportunities come not, evil thoughts come, and he throws wide open the gates of his heart and welcomes those bad visitors, and entertains them with a lavish hospitality. The business of the world absorbs, corrupts, and degrades one mind, while in another it feeds and nurses the noblest independency integrity, and generosity. Pleasure is a poison to some, and a healthful refreshment to others. To one. the world is a great harmony, like a noble strain of music with infinite modulations; to another, it is a huge factory, the clash and clang of whose machinery jars upon his ears and frets him to madness. The true Mason labors for the benefit of those that are to come after him, and for the advancement and improvement of his race. That is a poor ambition which contents itself within the limits of a single life. All men who deserve to live, desire to survive their funerals, and to live afterward in the good that they have done mankind, rather than in the fading characters written in men's memories. Most men desire to leave some work behind them that may outlast their own day and brief generation. That is an instinctive impulse, given by God, and often found in the rudest human heart; the surest proof of the soul's immortality, and of the fundamental difference between man and the wisest brutes. To plant the trees that, after we are dead, shall shelter our children, is as natural as to love the shade of those our fathers planted. If the Soul sees, after death, what passes on this earth, and watches over the welfare of those it loves, then must its greatest happiness consist in seeing the current of its beneficent influences widening out from age to age, as rivulets widen into rivers, and aiding to shape the destinies of individuals, families, States, the World; and its bitterest punishment, in seeing its evil influences causing mischief and misery, and cursing and afflicting men, long after the frame it dwelt in has become dust, and when both name and memory are forgotten. That which we say and do, if its effects last not beyond our lives, is unimportant. That which shall live when we are dead, as part of the great body of law enacted by the dead, is the only act worth doing, the only Thought worth speaking. The desire to do something that shall benefit the world, when neither praise nor obloquy will reach us where we sleep soundly in the grave, is the noblest ambition entertained by man. It is the ambition of a true and genuine Mason. Knowing the slow processes by which the Deity brings about great results, he does not expect to reap as well as sow, in a single lifetime. It is the inflexible fate and noblest destiny, with rare exceptions, of the great and good, to work, and let others reap the harvest of their labors. He who does good, only to be repaid in kind, or in thanks and gratitude, or in reputation and the world's praise, is like him who loans his money, that he may, after certain months, receive it back with interest. To be repaid for eminent services with slander, obloquy, or ridicule, or at best with stupid indifference or cold ingratitude, as it is common, so it is no misfortune, except to those who lack the wit to see or sense to appreciate the service, or the nobility of soul to thank and reward with eulogy, the benefactor of his kind. His influences live, and the great Future will obey; whether it recognize or disown the lawgiver. All the great and beneficent operations of Nature are produced by slow and often imperceptible degrees. If not for slander and persecution, the Mason who would benefit his race must look for apathy and cold indifference in those whose good he seeks, in those who ought to seek the good of others. Except when the sluggish depths of the Human Mind are hroken up and tossed as with a storm, when at the appointed time a great Reformer comes, and a new Faith springs up and grows with supernatural energy, the progress of Truth is slower than the growth of oaks; and he who plants need not expect to gather. The Redeemer, at His death, had twelve disciples, and one betrayed and one deserted and denied Him. It is enough for us to know that the fruit will come in its due season. When, or who shall gather it, it does not in the least concern us to know. It is our business to plant the seed. It is God's right to give the fruit to whom He pleases; and if not to us, then is our action by so much the more noble. To sow, that others may reap; to work and plant for those that are to occupy the earth when we are dead; to project our influences far into the future, and live beyond our time; to rule as the Kings of Thought, over men who are yet unborn; to bless with the glorious gifts of Truth and Light and Liberty those who will neither know the name of the giver, nor care in what grave his unregarded ashes repose, is the true office of a Mason and the proudest destiny of a man. All the great and beneficent operations of Nature are produced by slow and often imperceptible degrees. The work of destruction and devastation only is violent and rapid. The Apocalypse is … the Apotheosis of that Sublime Faith which aspires to God alone, and despises all the pomps and works of Lucifer. There are Seven Seals to be opened, that is to say, Seven mysteries to know, and Seven difficulties to overcome, Seven trumpets to sound, and Seven cups to empty. The Apocalypse is, to those who receive the nineteenth degree, the Apotheosis of that Sublime Faith which aspires to God alone, and despises all the pomps and works of Lucifer. Lucifer, the Light-bearer! Strange and mysterious name to give to the Spirit of Darkness! Lucifer, the Son of the Morning! Is it he who bears the Light, and with its splendors intolerable blinds feeble, sensual, or selfish Souls! Doubt it not! for traditions are full of Divine Revelations and Inspirations: and Inspiration is not of one Age nor of one Creed. Plato and Philo, also, were inspired. All that is done and said and thought and suffered upon the Earth combine together, and flow onward in one broad resistless current toward those great results to which they are determined by the will of God. We build slowly and destroy swiftly. Our Ancient Brethren who built the Temples at Jerusalem, with many myriad blows felled, hewed, and squared the cedars, and quarried the stones, and car»ed the intricate ornaments, which were to be the Temples. Stone after stone, by the combined effort and long toil of Apprentice, Fellow-Craft, and Master, the walls arose; slowly the roof was framed and fashioned ; and many years elapsed, before, at length, the Houses stood finished, all fit and ready for the Worship of God, gorgeous in the sunny splendors of the atmosphere of Palestine. So they were built. A single motion of the arm of a rude, barbarous Assyrian Spearman, or drunken Roman or Gothic Legionary of Titus, moved by a senseless impulse of the brutal will, flung in the blazing brand; and, with no further human agency, a few short hours sufficed to consume and melt each Temple to a smoking mass of black unsightly ruin. Be patient, therefore, my Brother, and wait! Of right belongs to us. Therefore faint not, nor be weary in well-doing! Be not discouraged at men's apathy, nor disgusted with their follies, nor tired of their indifference ! Care not for returns and results; but see only what there is to do, and do it, leaving the results to God! Soldier of the Cross! Sworn Knight of Justice, Truth, and Toleration! Good Knight and True! be patient and work! Genuine work alone, done faithfully, is eternal, even as the Almighty Founder and Worldbuilder Himself. All work is noble: a life of ease is not for any man, nor for any God. The Almighty Maker is not like one who, in old immemorial ages, having made his machine of a Universe, sits ever since, and sees it go. Out of that belief comes Atheism. The faith in an Invisible, Unnameable, Directing Deity, present everywhere in all that we see, and work, and suffer, is the essence of all faith whatsoever. Whatsoever of morality and intelligence; what of patience, perseverance, faithfulness, of method, insight, ingenuity, energy; in a word, whatsoever of Strength a man has in him, will lie written in the Work he does. To work is to try himself against Nature and her unerring, everlasting laws: and they will return true verdict as to him. The noblest Epic is a mighty Empire slowly built together, a mighty series of heroic deeds, a mighty conquest over chaos. Deeds are greater than words. They have a life, mute, but undeniable; and grow. They people the vacuity of Time, and make it green and worthy. Labor is the truest emblem of God, the Architect and Eternal Maker; noble Labor, which is yet to be the King of this Earth, and sit on the highest Throne. Men without duties to do, are like trees planted on precipices; from the roots of which all the earth has crumbled. Nature owns no man who is not also a Martyr. 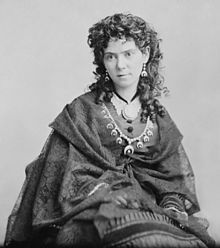 She scorns the man who sits screened from all work, from want, danger, hardship, the victory over which is work ; and has all his work and battling done by other men; and yet there are men who pride themselves that they and theirs have done no work time out of mind. So neither have the swine. All hypotheses scientifically probable are the last gleams of the twilight of knowledge, or its last shadows. Faith begins where Reason sinks exhausted. It is not in the books of the Philosophers, but in the religious symbolism of the Ancients, that we must look for the footprints of Science, and re-discover the Mysteries of Knowledge. To organize Anarchy, is the problem which the revolutionists have and will eternally have to resolve. There is a perennial nobleness and even sacredness in work. Be he never so benighted and forgetful of his high calling, there is always hope in a man that actually and earnestly works: in Idleness alone is there perpetual Despair. Duty is with us ever; and evermore forbids us to be idle. To work with the hands or brain, according to our acquirements and our capacities, to do that which lies before us to do, is more honorable than rank and title. Ch. XXII : Knight of the Royal Axe, or Prince of Libanus, p. 343; This has also been published in some editions as "To work with the hands or brain, according to our requirements and our capacities…"
Almost all the noblest things that have been achieved in the world, have been achieved by poor men; poor scholars, poor professional men, poor artisans and artists, poor philosophers, poets, and men of genius. All hypotheses scientifically probable are the last gleams of the twilight of knowledge, or its last shadows. Faith begins where Reason sinks exhausted. Beyond the human Reason is the Divine Reason, to our feebleness the great Absurdity, the Infinite Absurd, which confounds us and which we believe. For the Master, the Compass of Faith is above the Square of Reason ; but both rest upon the Holy Scriptures and combine to form the Blazing Star of Truth. All eyes do not see alike. 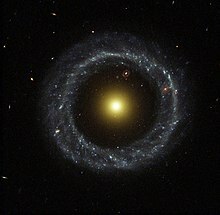 Even the visible creation is not, for all who look upon it, of one form and one color. Our brain is a book printed within and without, and the two writings are, with all men, more or less confused. Magic is that which it is; it is by itself, like the mathematics; for it is the exact and absolute science of Nature and its laws. Magic is the science of the Ancient Magi: and the Christian religion, which has imposed silence on the lying oracles, and put an end to the prestiges of the false Gods, itself reveres those Magi who came from the East, guided by a Star, to adore the Saviour of the world in His cradle. Science has its nights and its dawns, because it gives the intellectual world a life which has its regulated movements and its progressive phases. It is with Truths, as with the luminous rays: nothing of what is concealed is lost; but also, nothing of what is discovered is absolutely new. God has been pleased to give to Science, which is the reflection of His Glory, the Seal of His Eternity. The Secret of the Occult Sciences is that of Nature itself, the Secret of the generation of the Angels and Worlds, that of the Omnipotence of God. To organize Anarchy, is the problem which the revolutionists have and will eternally have to resolve. It is the rock of Sisyphus that will always fall back upon them. To exist a single instant, they are and always will be by fatality reduced to improvise a despotism without other reason of existence than necessity, and which, consequently, is violent and blind as Necessity. We escape from the harmonious monarchy of Reason, only to fall under the irregular dictatorship of Folly. Sometimes superstitious enthusiasms, sometimes the miserable calculations of the materialist instinct have led astray the nations, and God at last urges the world on toward believing Reason and reasonable Beliefs. We have had prophets enough without philosophy, and philosophers without religion; the blind believers and the skeptics resemble each other, and are as far the one as the other from the eternal salvation. In sentiment this is similar to the expression made much earlier by Giordano Bruno in On the Infinite Universe and Worlds (1584) : "What you receive from others is a testimony to their virtue; but all that you do for others is the sign and clear indication of your own." This is more commonly attributed to Georges Clemenceau, and the earliest published attribution to Pike is in 2008, without citation of sources. A man should live with his superiors as he does with his fire: not too near, lest he burn; nor too far off, lest he freeze. One man is equivalent to all Creation. One man is a World in miniature. 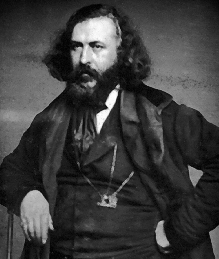 Albert Pike: Hero or Scoundrel?